Our Accounting department makes a personal commitment to maximize our client’s growth and success by providing sound advice and proven financial & tax strategies, coupled with integrity and competence. As Certified Public Accountants, we provide tax strategies to individuals, business and estates. Our experienced team conducts comprehensive audits, prepares financial statements, negotiates banking and equipment financing, and represents you in mergers and acquisitions. Our Certified Information Technology Professionals (CITP) are specialized in reviewing and implementing accounting systems and software programs and are qualified to employ general ledger programs. Through our outstanding services and commitment to our client’s success we build long term relationships. 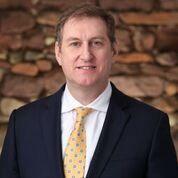 Robert J. Traphagen, Managing Partner, is a licensed Certified Public Accountant in both New Jersey and New York. Robert specializes in mergers, acquisitions, financing and audits. He assists small and large businesses by integrating corporate and individual objectives into strategic plans. Robert is also a Chartered Global Management Accountant (CGMA), a designation awarded by the American Institute of Certified Public Accountants (AICPA) and the Chartered Institute of Management Accountants (CIMA). Robert was the 88th President of the New Jersey Society of Certified Public Accountants, a 16,000-member organization, and has served on the Board of Trustees. Robert also served on the American Institute of Certified Public Accountants (AICPA) Council. Robert focuses his efforts on financial reporting standards, financial literacy and issues affecting the CPA profession. He is also a member of Rutgers University's Institute for Ethical Leadership. Robert was recognized by the NJCPA as one of the Top 50 over 50 CPAs who are making a significant impact on the accounting profession in New Jersey and beyond. 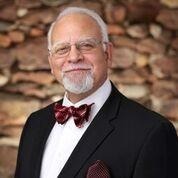 In his community, Robert serves as an advisory board member for various banking institutions. He is a Past President of the Oradell Chamber of Commerce and served as Director of the Oradell Rotary Club. He was recognized by former Governor James Florio for his community involvement and is the recipient of the Mayor's Award for Civic Contribution. Robert is married with two children. He is a graduate of Rutgers University with a BA in History/Political Science and has a BS in accounting from Fairleigh Dickinson University. He is active in the American Cancer Society’s Relay for Life Program and has participated in numerous marathons including the New York City Marathon in support of cancer research. James A. Lawrence, Tax Partner, is a licensed Certified Public Accountant in both New Jersey and New York. Jim specializes in individual and business tax returns, IRS representation including audit and appeals and negotiates installment agreements, offers in compromise and other collection procedures. He works closely with attorneys in Litigation Support and has testified as an expert in court proceedings. Jim has over 30 years’ experience in tax planning and business structure for individuals and businesses. In addition, he is a licensed insurance provider. Jim served as a trustee for the New Jersey Society of Certified Public Accountants (NJCPA). He also served a two-year term as the State Chairman of the Federal Taxation Interest Group. Jim represented the NJCPA in Washington on tax law and regulations. He has also served as President of the NJCPA, Bergen Chapter. In addition, Jim is certified as a Certified College Planning Specialist (CCPS) from the National Institute of Certified College Planners. He assists families in their process of funding a quality education. Jim is one of only 500 who hold the CCPS certification nationally. Jim is married and is a graduate of Rutgers University with a BS in Accounting. He enjoys running and has participated in numerous marathons. He is an avid New York Giants fan. 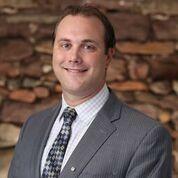 Chris Chudyk is a partner at Traphagen Financial Group and a graduate of Ramapo College. Chris specializes in implementation of computer software, business tax returns, review and compilations and tax planning. Chris is a Certified Information Technology Professional (CITP), a designation awarded by the American Institute of Certified Public Accountants and held by less than 1% of all CPAs nationwide and a Certified QuickBooks Pro Advisor. Chris served as the President for the Bergen Chapter of the New Jersey Society of CPAs (NJCPA) and was the past Chairman of the NJCPA Technology Committee. He is also a member of the American Institute of Certified Public Accountants (AICPA) and served on the AICPA's IMTA (Information Management Technology Assurance) committee. Chris was recognized and selected as one of NJBIZ 2014 Forty Under 40 Award Winners for his commitment to business growth, professional excellence and community service within New Jersey. Chris was named to the inaugural New Jersey Society of CPAs A list. Practitioners and members of the NJSCPA were selected for their continuing impact on the accounting profession in the Garden State and beyond. Chris volunteers his time working with students for the NJCPA Scholars Institute, Career Day and the CPA Career Awareness Presentation program. Chris enjoys working out (P90X and Insanity); plays softball, coaching, and is married and has four kids who keep him active 24/7. Joseph DeLorenzo is a graduate of New York University with a B.S. degree in Accounting. He is a licensed Certified Public Accountant in the states of New Jersey and New York, practicing for over 30 years. 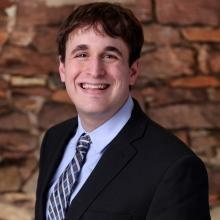 Joe specializes in individual and business tax, accounting, and advisory services. Joe is fortunate to have had the opportunity to start his accounting career with the Traphagen Financial Group almost 30 years ago before successfully establishing his own CPA practice. 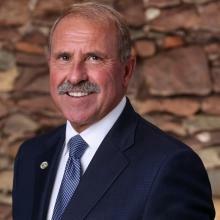 Joe is a member of the New Jersey Society of Certified Public Accountants and served on the Board of Trustees. He is a Past President of the NJSCPA- Bergen Chapter and currently serves as Director. Joe has given estate workshops for the CPA profession and the NJSCPA, and has served as a panelist on a cable tax talk show. Joe has also given public speaking workshops to CPAs and other business professionals. In his community, Joe serves on the accounting advisory board at Bergen Community College. For several years, he volunteered as a Quality Enhancement Review Supervisor for the Board of Accountancy, a tax workshop instructor with Children Services in Hackensack for Accountants for Public Interest (API), and was a speaker on tax issues for WFDU-FM 89.1. He has volunteered with the NJSCPA’s Scholarship Institute and Day of Service Programs; and also walked to end Alzheimer’s Disease and Dementia. Joe is married for over 35 years and has three children. His passion remains as a personal life coach to his children and students; the study of yoga, Zen meditation, and to his continued personal development. He is a 4th degree Knights of Columbus member and a 5th degree black belt instructor in Zujitsu Ryu. Desiree Martinez is a Senior Auditor and graduate of Fairleigh Dickinson University with a B.S in Accounting. She also has a Master of Science degree in Accounting. 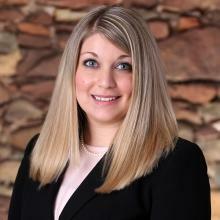 Desiree is a member of the New Jersey Society of CPAs; she is also a member of the Accounting and Auditing Committee. Desiree previously worked at PriceWaterhouseCoopers for 5 years as a Senior Auditor. Desiree specializes in Private Companies’ Audits: Internal Controls, and Risk Assessment. She is responsible for all facets of the Financial Statement preparation including Reviews and Compilations in accordance with Statement on Standards for Accounting and Review Services. Desiree is married with two children. She is a passionate soccer fan who also enjoys all genres of music. Jeffrey Muscio is a graduate of The Smeal College of Business at the Pennsylvania State University where he earned a B.S. in Accounting. 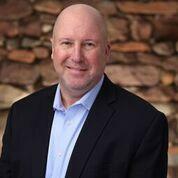 Jeffrey has experience in audit, public accounting and in the not-for-profit sector. He also has experience creating, maintaining and adjusting Financial Statements and Trial Balances in QuickBooks and in Creative Solutions Accounting. Jeffrey enjoys collecting sports autographs and playing tennis. He is an avid New York Jets fan. Anish Kansara is a Tax Manager and graduate of Seton Hall University where he earned both a B.S. and Masters of Science in Accounting. He is a Certified Public Accountant licensed by the State of New Jersey. 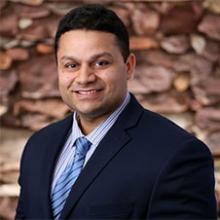 Anish is a member of the New Jersey Society of CPAs, and serves on the State Tax Committee. Anish has extensive experience with high net worth individuals, corporate, partnerships, fiduciary, and tax returns for trusts. He also specializes in real estate and foreign tax filings. Anish enjoys spending time with his wife and young son; he is also an avid NY Giants and NY Yankee fan, who enjoys working out and playing football. 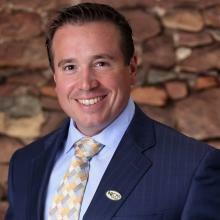 Kevin Feeney is a graduate of California State University of San Marcos, and earned his M.S. in Taxation from Rutgers University. He is also a Certified Public Accountant licensed by the State of New Jersey. Kevin has extensive experience with high-net worth individuals, corporate, partnerships, fiduciary, as well as state and local income tax returns. Kevin enjoys boating on Greenwood Lake, NJ. He also enoys working out and going to the movies. Craig Sikora earned a B.S. in Business with a concentration in Accounting from William Paterson University. Craig has over 12 years of public accounting experience. Craig has a diversified background and specializes in individual, business and non-profit tax returns. He manages and coordinates accounting functions for client record keeping, general ledger accounting and payroll tax return issues and filings. In addition, Craig is a QuickBooks ProAdvisor, and is also an enrolled IRS agent, who is federally authorized as a tax practitioner. Craig is an avid Hockey and Baseball fan, and enjoys playing softball and golf. He and his wife are active supporters of the Congenital Heart Defect Coalition, which their son is a survivor of. Christina White is a graduate of Siena College where she earned both a B.S. in Accounting and M.S. in Accounting degrees. She is a Certified Public Accountant licensed by the State of New York. Christina is a member of the New Jersey Society of CPAs, New York State Society of CPAs and the American Institute of Certified Public Accountants (AICPA). Christina has extensive tax experience with corporate, partnerships, and individual tax strategies. Christina manages and coordinates accounting functions for general ledger accounting, payroll tax and sales tax, & Nexus issues and filings. Christina enjoys cooking, baking, traveling, running, & playing tennis; she also enjoys spending time with her husband Kevin, family and friends. Veronica Gonzalez is a graduate of Montclair State University with a B.S in Business Administration with a concentration in Accounting. She is also an enrolled IRS agent, who is federally authorized as a tax practitioner. 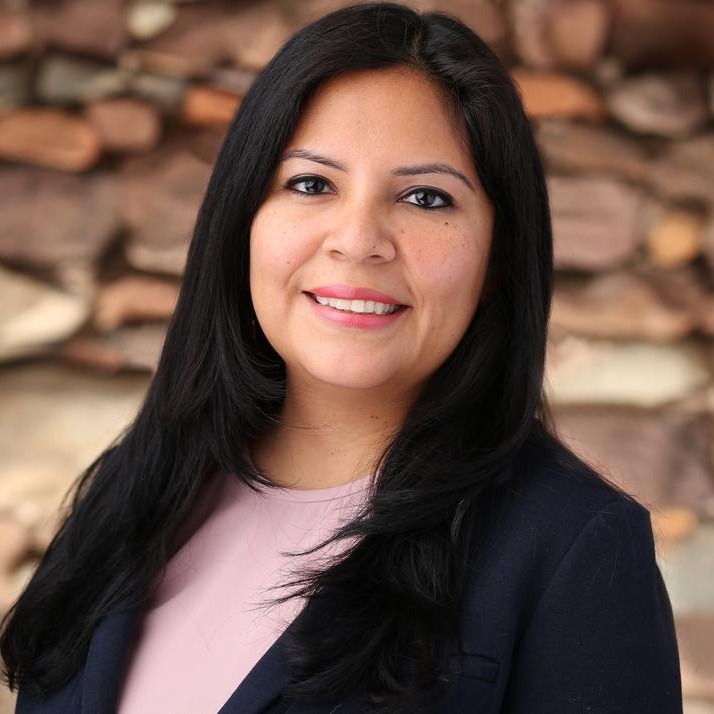 Veronica has over 11 years of public accounting experience; specializing in individual, business, estate and trust, gift tax, and non-profit tax returns. Veronica enjoys traveling, and spending time with her husband and kids; she also is very passionate about ballet.